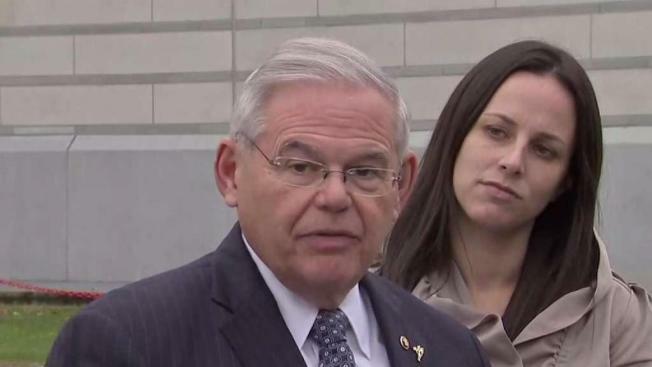 Jurors say they are deadlocked in the bribery trial of U.S. Sen. Bob Menendez. The note from the jury came shortly after 2 p.m. Monday, hours into a restart of deliberations necessitated by one juror's pre-scheduled vacation. The jurors said they were unable to reach a unanimous decision any of the charges. The defense immediately requested a mistrial. The judge denied that request and, as is customary after one deadlock, ordered the group back to deliberations. He did let them go home early, though, telling them to "have a good meal, good sleep and come back" Tuesday to continue. Earlier Monday, the judge had paused deliberations to take time to individually question a number of jurors who had admitted to either reading or hearing something about the case over the weekend. The juror who was dismissed for her pre-scheduled vacation had made statements saying other jurors had said she couldn't send a note to the court advising the jury was deadlocked, and that she was told "her vote didn't count" because she was going to be released. After questioning the jurors, the judge ordered the group back to deliberations and downplayed defense concern the dismissed woman's comments could have contaminated their discussions. Menendez is charged with accepting gifts from a wealthy Florida eye doctor in exchange for using his political influence. He is also charged with making false statements for not reporting the gifts on Senate disclosure forms. Both men deny the allegations. Defense attorneys have sought to show jurors that the two men are longtime friends who exchanged gifts out of friendship. They also contend Menendez's meetings with government officials were focused on broad policy issues. A prosecutor accused the defense of using a strategy of "distraction and misdirection" and said the two men's friendship doesn't mean they weren't involved in bribery. 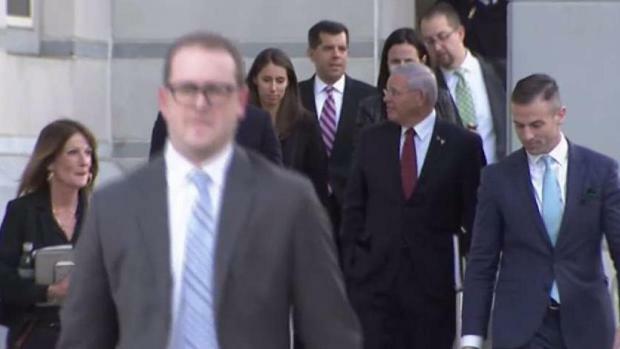 Menendez said earlier this month he was convinced he'd be exonerated.